Could your bathroom benefit from some TLC? Do you require the assistance of the best bathroom fitters Yeovil has to offer? If so, look no further, as Franks Group are renowned for their first-rate bathroom renovations and ultra-competitive prices. To benefit from the unrivalled expertise and wealth of knowledge that our bathroom fitters boast, give us a call now on 01747 826656. As the leading supplier of commercial and domestic bathroom installations, you can be confident that we have the expertise and skill-set to provide you with exceptionally high-quality works. 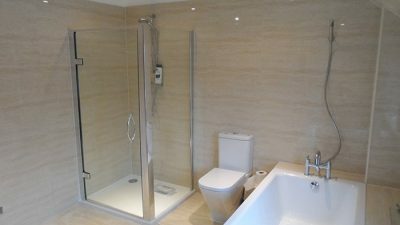 You’ll be hard-pressed to find a bathroom installation company, which can compare with the exceptional standards of Franks Group when looking for the best bathroom fitters, Yeovil offers. 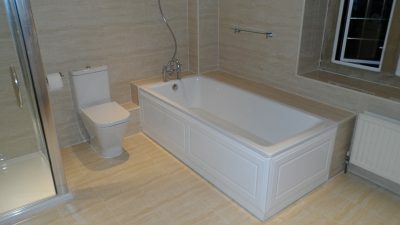 For further insight into the services offered by the best team of Yeovil bathroom fitters around, check out our gallery. You’ll find a wide range of images that demonstrate some of the first-rate bathroom renovation projects we have completed for our clients across the South of England. Should you have any questions regarding the capabilities of our bathroom fitters in Yeovil, then please do not hesitate to get in touch. We’d be delighted to answer any questions or queries you may have, as well as recommend the most suitable bathroom design to help you best achieve your desired objectives. Why is Franks Group the Superior and Obvious Choice for Yeovil Bathroom Fitters? When you choose Franks Group today, you can expect a prompt, competitively priced and exceptional quality service. Rest assured that every time you enlist our tradespeople, you’ll receive a service that is worthy of our stellar reputation for excellence. Do you need further assurance that Franks Group provides the most outstanding bathroom fitters in Yeovil? If you’ve answered yes, then we suggest that you familiarise yourself with some of the fantastic feedback we have received from our satisfied customers. It’s imperative to note that a substantial portion of our work comes from word of mouth referrals from our existing customers, which demonstrates our high client satisfaction rate. With this said, after browsing through our case studies we’re confident that you’ll have a much more concise understanding of why our bathroom fitters in Yeovil are the obvious and superior choice. With amazing feedback like this, there should be no question of who to call when looking for the number one Yeovil bathroom fitters. The finest bathroom fitters you have been searching for are only a phone call away. So, what are you waiting for? Get in contact now. To benefit from the expertise of the most sought-after bathroom fitters, Yeovil offers, get in contact now by calling us on 01747 826656. You can also register your interest in the services of our bathroom fitters by emailing us at info@franksgroup.co.uk.